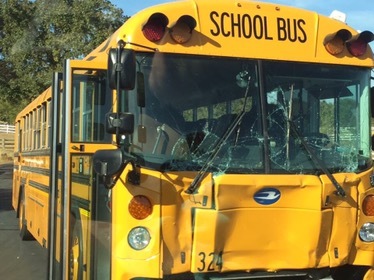 As was reported on the Elk Grove Laguna Forums Facebook page on Friday afternoon, an Elk Grove school bus was involved in accident. The accident took place on Wilton Road near Grantline at around 3:30 pm. Initial reports stated it was a “multi-casualty” incident. Numerous emergency vehicles and a helicopter were dispatched to the scene. The school bus was southbound on Wilton Road when it rear ended an SUV which in turn hit a Honda. None of the 29 students on the bus were injured. 5 teenagers in the SUV and the driver of the Honda were transported to the hospital with minor injuries. 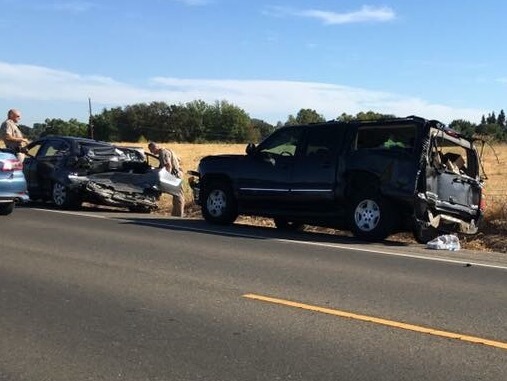 The CHP is investigating the accident.